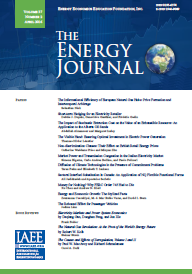 This article considers the merits of government support for the commercialization of particular energy supply technologies, and sketches a framework for the economic evaluation of different schemes for such support.' Specific current proposals are not analyzed in detail, as the emphasis is on identifying conditions under*Professor of Applied Economics, Sloan School of Management, Massachusetts Institute of Technology. For the second time in the decade, the U.S. economy is absorbing a large sudden shock in the world price of oil. From late in 1978 to June 1979, OPEC raised the world price of oil by closeto $9 per barrel. Western industrial nations could face a repetition of the serious recession of 1974-75 on close to the same scale. The increase in the total cost of energy inputs induced by this oil price increase is about two-thirds of the increase in 1974. The potential disruption to the U.S. economy and others is a similar fraction of what occurred in the earlier episode. One major determinant of crude oil price will be the question of whether or not OPEC can resolve its internal conflicts and act effectively as a coalition in restricting the quantities it will supply. For the economist, this question stands at the center of the energy problem; unfortunately, economic analysis has little that is definite to say about the question, and consequently little to say about how OPEC determines its posted price policies and the quantities of oil to be placed on the market. Economic analysis has also failed to provide any definite explanation of the fact that individual OPEC members have not been prone to seek net revenue increases through additional sales, even during periods of declining sales or during oil gluts such as the 1975 recession in OECD countries.